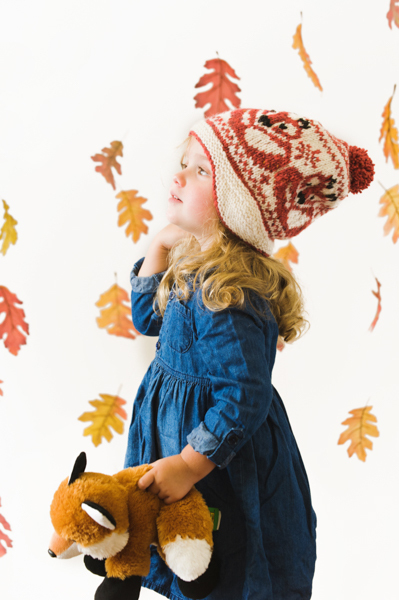 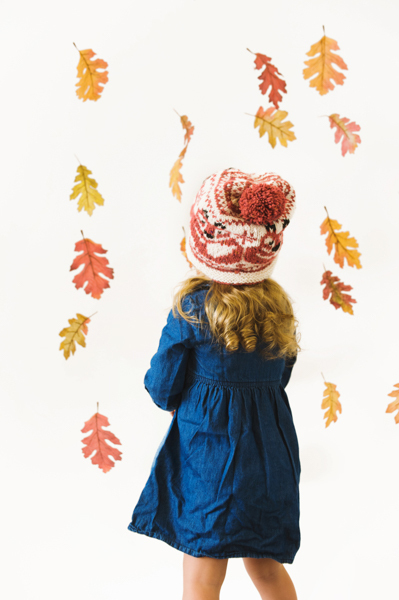 This slouchy bobble hat is just what your little one needs for the upcoming winter. 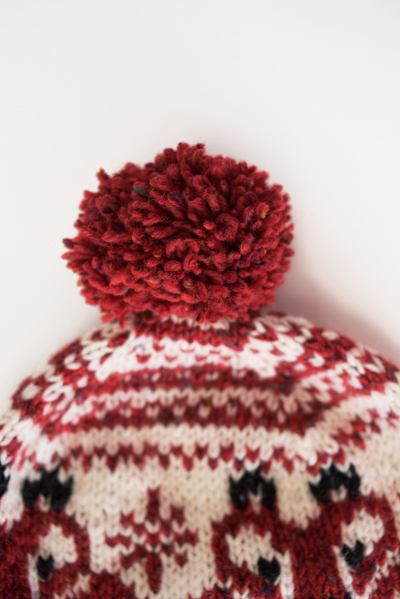 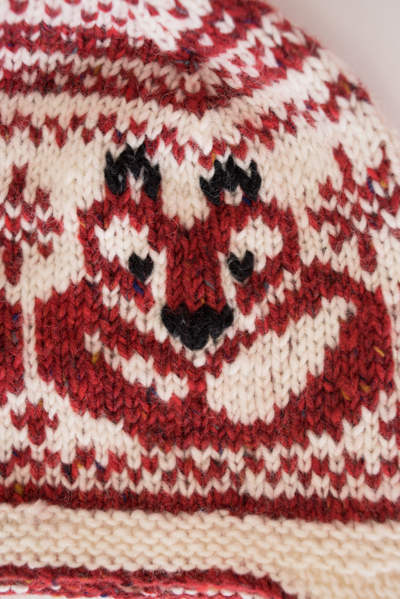 Knit in the round with stranded colorwork, this warm ad make this a cozy and warm hat for any child. 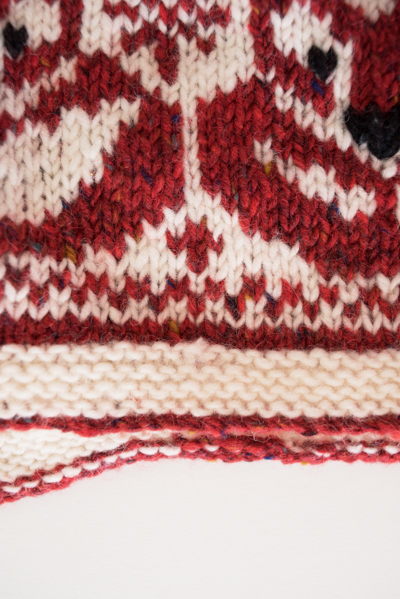 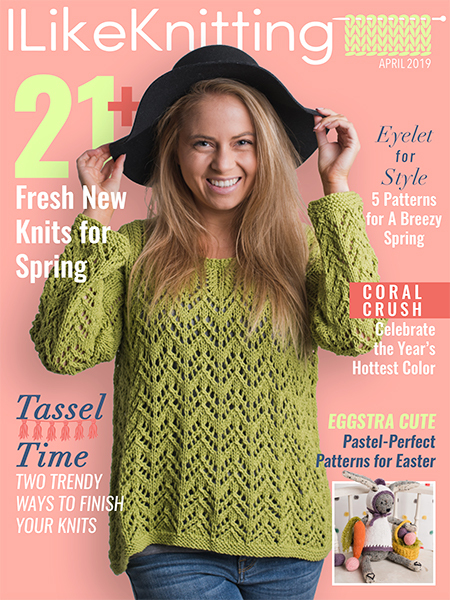 To make a larger fitting hat, just bump up your knitting needle size.